Most people who have a steady source of income invest in equities and stocks. For the uninitiated, it can be a bit hard to grasp these financial concepts. This article aims to shed more light on how these terms differ. In the accounting world, equity (i.e. 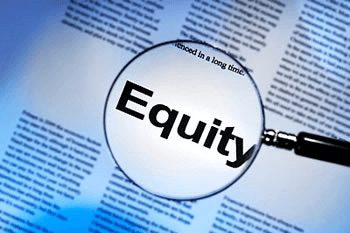 owner’s equity) is referred to as the difference between the asset’s total value and the total value of the liabilities of something that is owed. It is expressed in this simple equation: Equity = Assets – Liabilities. For instance, a person has a car worth $10,000 (which is an asset) but has an existing loan against the same car for the amount of $3,000. The car, then, at that moment, represents $7,000 of equity. It is possible for equity to be negative if the liabilities are more than the assets. An equity of a company as distributed among its shareholders is represented by a shareholders’ equity (i.e. 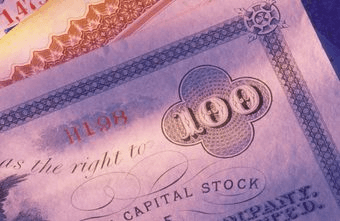 stockholders’ equity or shareholders’ capital). Equity may also refer to a corporation’s capital stock. The value of a company’s capital stock is determined by the company’s future economic plans. A company that is liquidating its assets will only determine its equity once all its liabilities have been paid off. Owners fund the business to get it off the ground and finance each facet of its operation. In a private limited company, the business is a separate entity as with its owners. Thus, the business owes its owners its funding in the form of share capital. Throughout the life of the business, its equity will be the difference between its assets and its liabilities (debts). The stock of a business (i.e. capital stock) is composed of the equity stock of the owners of the business. A share of the stock represents a fraction of ownership of the corporation which is dependent on the total number of shares. During liquidation, the stocks will be the residual assets of the business that will be distributed to the stockholders. This happens once all senior claims (e.g. secured and unsecured debts) are all discharged. Stockholders’ equity cannot be withdrawn if it seen as detrimental to the interest of the company’s creditors. So what’s the difference between equity and stock? Equity is the difference between the total value of an asset and the value of its liabilities of something that is owed. The stock of a business or corporation is composed of the equity stock of the owners. This means that equity and stock are essentially the same. When a corporation is in liquidation all the assets that remain after all secured and unsecured loans are discharged are distributed to the owners. Stocks are residual assets of the company during liquidation after the company’s liabilities have been settled. In fact, the word “stock” is a general term that refers to shares and equities; thus, they can be used interchangeably.